Fresh, bright, and new on the scene, Casilando landed online in early 2017 with its vibrant look and whole host of slot games for players to indulge in. 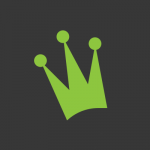 The ‘Kings and Queens’ online casino has a layout that’s easy on the eye and intuitive to navigate, as well as fantastic bonuses and minimum deposit requirements. Sign up and log on via desktop, mobile, or tablet devices to access over 500 games whenever you want. Licensed by the UK Gambling Commission, you can feel safe logging on and settling in to choose from the hundreds of gaming options at will from your desktop or mobile device. 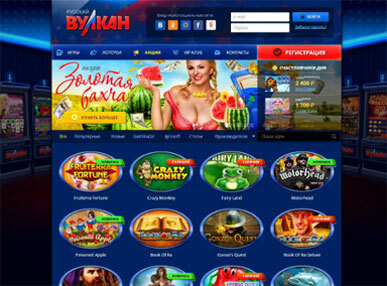 The online casino has a fresh new appearance to it, making it easy to navigate to either find your favourite games or new ones that are popular with other players. The crisp white and vibrant green background make for a clean, slick layout that is pleasing on the eye. The games are all easily accessible, which is important with over 500 to choose from. The games come from a wide variety of developers like Amaya, NetEnt, Microgaming, and NextGen. Players will find all of their favourites, including hits like Starburst, Twin Spin, and Big Kahuna. What you go to Casilando for, though, is the slots. As the ‘royalty’ of slots, you’ll find everything from classic slots to jackpot slots, including: Mega Fortune, Super Spinner, Winstar, and Super Diamond Deluxe for your chance to win big. All the usual classic table games are on offer. Casilando provides 13 roulette games, 6 poker games, 19 blackjack games, as well as 12 live casino options. Additionally, bingo lovers can enjoy a modest selection of ball bingo games. The 90 options are from developers White Hate Gaming and can be a perfect introduction into the world of online casinos for those wanting to start small and modest. A new player offer at Casilando gives you 10 free spins without a deposit on several games like Starburst and Fruit Shop. With your first deposit, you’ll get a bonus match of 100% on up to £300 plus a whopping 90 additional bonus spins. The minimum deposit for this is £10. This new online casino is pretty generous in terms of welcome bonuses out there. Get signed up now! On top of that, take advantage of Casilando’s reload bonus every Thursday; deposit a minimum of £10 to get a bonus of 50% on up to £250 plus 20 money free spins on game Aloha! Cluster Pays. You can also begin to collect loyalty points which can be redeemed as real cash. For payments, there is a minimum withdrawal amount of £30 and maximum of £25,000 a week. The processing time can take up to 7 days, although it’s usually completed in less than that time. For any help required, you can contact via email or live chat help 24/7. A slick, straightforward, and smart online casino that rewards new players handsomely and has plenty to keep them around. There is an excellent choice of games to play from a large variety of trusted and well-known developers, and you can play comfortably from your desktop, laptop, or mobile device. The best feature here is definitely its generous welcome bonus. Become a king or queen of slots at Casilando.